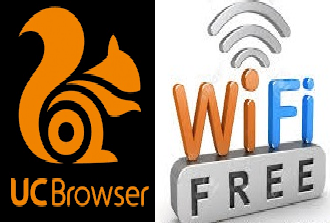 UC browser has made it easy for you to turn your PC into a virtual WIFI hotspot without stress. Once you turn this capability on your PC, you can now conect your other smart phones to internet through this UC WIFI hotspot. This works on all laptops regardless of the version of Windows Operating System or MAC you are using as far as it has a wireless network card. Before now, you use the windows command prompt to turn your PC to a WIFI hotspot. But with this virtual WIFI hotspot feature in UC browsers, you can now easily turn your laptop into a wirless hotpot even without the knowledge of Cmd syntaxes. 1. Open your UC browser. If you don't have UC browser installed in your system, download the latest pc version from Here. Install the UC browser .exe file on your PC and then open it. 2. Locate and click the Launch Virtual Wi-Fi icon at the extreme top right of the browser window to turn on free wifi hospot share in your browser as shown in the screenshot below. 3. 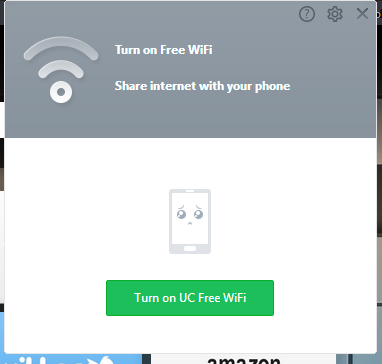 Click on Turn On UC Free WiFi and then wait for the browser to finish initialization and setup process as shown in the screenshot below. 4. After the initialization process is complete, UC browser will notify you as shown in the screenshot below. Your hotspot SSID will be displayed and the default password as 123456789. You can also turn off the virtual hotspot by click the Turn Off button. 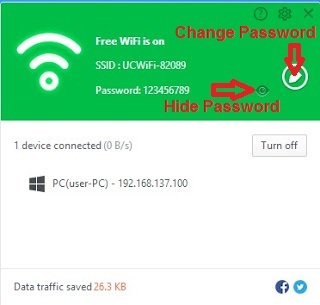 You can also change or hide your wifi hotspot password by clicking the buttons as shown in the screenshot above. You can now connect up to 10 smartphones and tabs with your friends to the internet using only one internet source from your PC. You might not be able to use this UC feature if your PC WIFI card driver is outdated. In such cases, you must first update your WIFI card driver and then try again. Were you able to turn your Pc into virtual wifi hotspot with your UC browser? I will like to hear from you through the comment box. Click the share buttons below to share this post with your friends. Also click Here to subscribe for free so that you will get our latest tutorial article updates directly to your email.